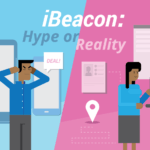 The terms iBeacon and beacon are often used interchangeably. The main difference is that iBeacon is not a physical product, it’s a technology. It’s a trademark of Apple for their future BLE products and systems. Apple introduced iBeacon during the launch of iOS7 at the World Wide Developer Conference, in June last year. How are beacons different from GPS? Are beacons better than GPS for geo-location? In terms of range, beacons function in the interim of NFC (too narrow) and GPS (too broad) ranges, and that is what makes it more effective than the other two. –Is iBeacon Apple’s own hardware beacon? 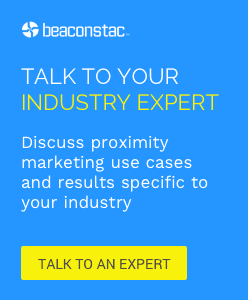 -How are beacons different from NFC? -Do beacons work only with iPhones or with Android phones too? For beacons to work, should the app be always running, even if only in the background? -Which devices are compatible with beacons? -Can beacons be placed outdoors? -Do beacons talk with all apps that come in its proximity or with specific apps only? -Do beacons send data to phones? -Do beacons send in-store offers based on shopper locations or apps do? -Do beacons in stores track shoppers? -How can a user opt-out of in-store tracking? Read our full post on ‘Beacon FAQs: Everything you need to know‘. 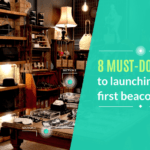 You will find answers to some of the most frequently asked questions about beacons, iBeacon technology, and beacon features here.